The Early Modern period was characterised by revolutionary change as people started to look beyond their immediate horizons and to seek new and improved ways of thinking. This was the time of the Renaissance, of men like Michaelangelo and da Vinci. It was the era of the Reformation, men such as Luther and Calvin. It was the era of explorers such as Magellan and Drake. The Isle of Thanet did not escape the upheaval. The break with Rome occasioned by Henry VIII's desire to marry Anne Boleyn led to major changes in the local economy. People who had previously had monastic landlords gained private ones. Properties which had been owned by the abbeys were sold and many were altered to become domestic dwellings. Salmestone Grange, Newlands and Ozengell were amongst those places affected. The Reformation encouraged the growth of education. The Reformers not only wanted church services to be in English rather than Latin but they wanted people to be able to read the Bible for themselves and to be able to follow the services from a book so they would feel more active participants in worship. Schools were established at St Peter's (1575), St Laurence (1578), Minster (1581) and St John's (1589). Birchington had a school by 1600, St Nicholas by 1606 and Monkton by 1617. Initially the European conflicts which followed the Reformation caused some hardship. Markets which had existed for centuries were either closed or reduced and new opportunities had to be found. Men from Broadstairs journeyed to Newfoundland in search of fish. Men from Margate commenced trading with the American colonies. Men from Ramsgate went to the Baltic and Russia, even commissioning ships to be built in St Petersburg. The result of their activities was a period of sustained economic growth which found expression in a building boom. Evidence of Tudor mansions and their furnishings is found in wills and through the survival of properties such as Gore Street farmhouse. 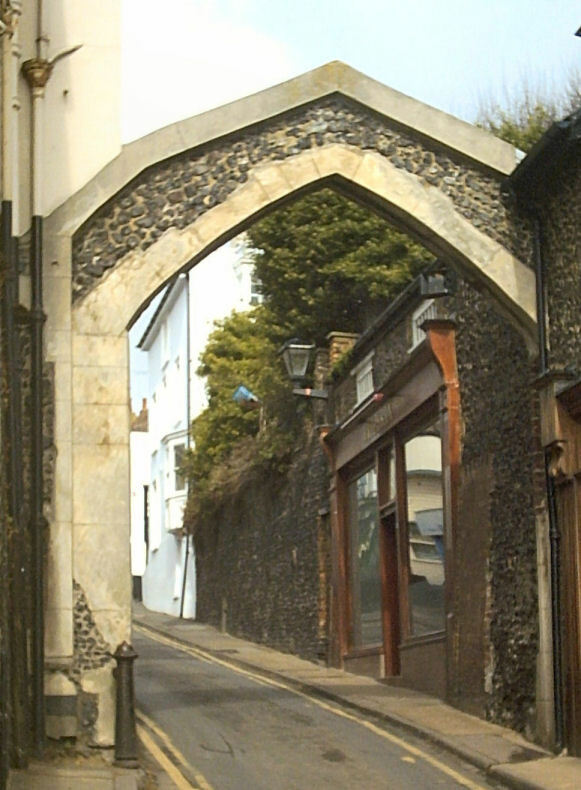 Lewis said that Ramsgate was rebuilt after 1688 "through the successful trade with which the inhabitants have been concerned into Russia and the East Country…. The old houses are many of them raised and made very commodious dwellings and abundance of new ones built after the modern way in a very elegant and beautiful manner." The increased wealth in the area had an impact upon the health of the local population. A sixth of children died in infancy but for those who survived, average life expectancy rose to 50 for men and 48 for women. The population grew by some 30 % to around 4,500 by 1600. Most people were employed on the land or the sea. The biggest threats to their existence came from harvest failures and plague. The Isle of Thanet was one of the richest farming areas in the country but the crops failed in 1586 and on a number of occasions in the 1590s resulting in significantly higher death rates in the year that followed. Plague affected parts of the island at different times but was particularly severe in the 1680s. An outbreak of bubonic plague at Birchington in 1637 killed over 5% of the population. 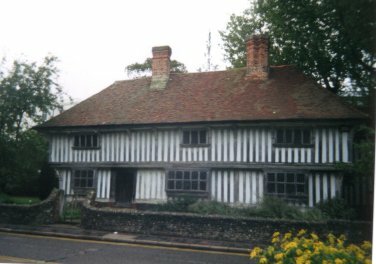 The Tudor House at Margate dates from the early sixteenth century though it appears to have been built on the basis of a medieval structure. There is also evidence of later decoration in the property from the Jacobean period, notably the plaster ceiling. Restored in the twentieth century, the house is particularly unusual because it demonstrates the standard of living of a craftsman or merchant. The majority of surviving Tudor properties are from a higher social class, for example the stately homes of Burghley, Hardwick and Longleat. The York Gate at Broadstairs is part of a series of defensive structures erected around 1540 when the threat of European invasion was at its height. The castles at Deal and Walmer are of similar date. 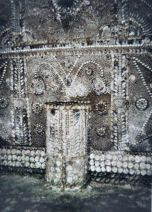 Openings to the sea were important to sailors and merchants but they represented a security risk. The gates which Culmer erected inside the arch could be closed in event of invasion and the female population evacuated together with children and the sick and infirm. 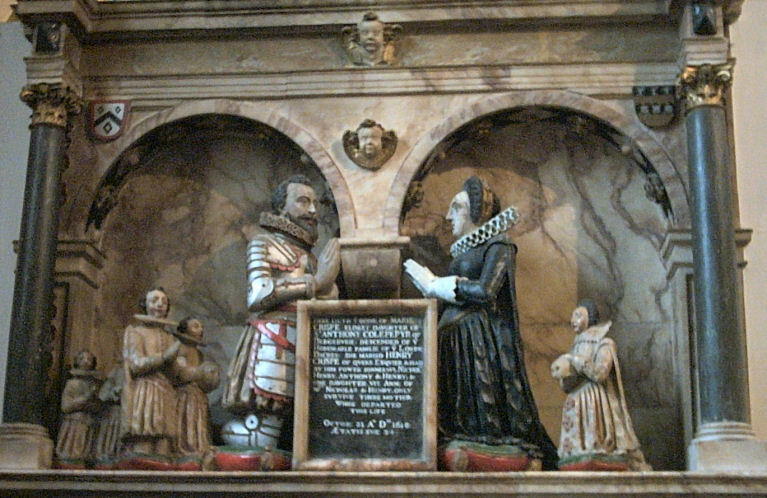 Within the churches of Thanet are a number of Tudor and Stuart monuments. These include kneeling figures at Minster and Margate and the superb collection of Crispe family memorials at Birchington. The pulpits at Monkton and St Nicholas date from the early seventeenth century. There are also bells at Minster, Monkton and St Nicholas from this period. Brasses include that to Roger Morris at St John's which shows a galleon (1615), Robert Sprackling at St Laurence who is shown in armour (1590) and the Edvarod family at St Nicholas who are shown in the costumes of the early Elizabethan period. On 9th August 1588, some of the victorious English vessels fresh from the defeat of the Spanish Armada approached Margate. The typhoid which had first affected the fleet when they were at Plymouth had re-appeared. The men on board were sick, exhausted and hungry. The Lord High Admiral Howard of Effingham visited the vessels at Margate and wrote a report describing how the men were left to die in the streets. Parish registers record the burial of men brought from Her Majesty's ships. Some of the Spanish galleons sunk off the Kent coast. The Fort which existed at Margate in the vicinity of the present Winter Gardens was probably built shortly before this time. It housed a selection of cannon from falconets to culverins. Although no battles were fought in the area, there was activity relating to the conflict. In 1648 George Sumner led a party of Royalist men from Margate to Wye where they were met by the Roundheads. Sumner was killed. Minster, from 1645 was home to the Puritan preacher Richard Culmer. A friend of several senior figures on the Parliamentary side, Culmer was called "that great minister of state" by Major-General Thomas Harrison. Chiefly famous for being responsible for the destruction of the windows at Canterbury Cathedral, Culmer was vicar of Minster for nearly twenty years and gave evidence to the trial of Archbishop Laud. In 1657, Henry Crispe of Quex was kidnapped in the middle of the night and taken overseas where he was held for ransom. Oliver Cromwell, suspecting it was a royalist plot, refused to allow money to be sent at first. As a result, Crispe spent ten months as a captive. He returned claiming that the only word he had learnt in that time was "Bonjour" hence his nickname of Bonjour Crispe. The Powell-Cotton museum at Quex contains two civil war guns in its collection of cannon plus two parish guns from the early seventeenth century.